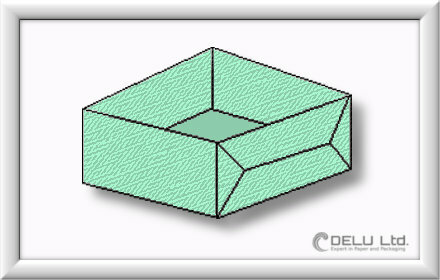 Here we will describe how to make a perfect origami box in some simple steps. Best suited for this purpose by the way, is a simple sheet of letter size paper, since the dimensions here are really just perfect for our origami box ! The difficulty level for this origami folding we would settle in the midfield. 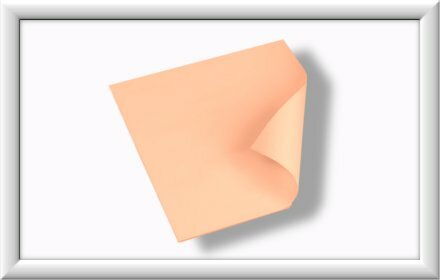 Therefore, this folding may not suit for the very youngest kids…..
Let’s get started with the folding instructions for our origami box! A simple sheet of paper in letter size ! First, we fold the paper lengthwise in the middle. Now we fold the corner at the dotted line inside.Then turn around and do the same on the other side. 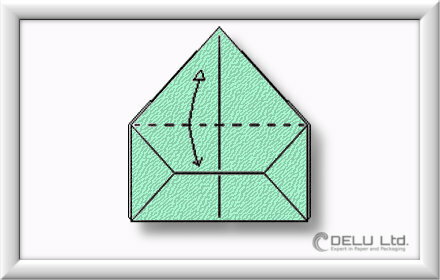 Fold the right side in the middle to the left ( at the dotted line ). Do the same on the backside. 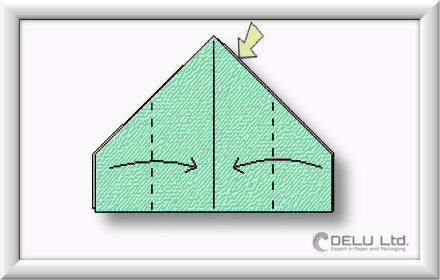 The triangles must be folded again, so that we get a plane surface as shown in the picture. Then fold on the dotted line the ends towards the Center. Repeat on the backside. Our folding should now look same as shown in the picture. Now fold the lower corners at the dotted lines upwards and repeat on the backside. Now fold lower corners at the dotted line upwards again. Just as before, repeat on the backside of the folding. 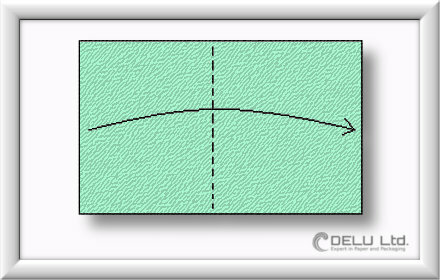 In this step just crease at the dotted line and do the same on the backside. Now unfold until step 6 ! 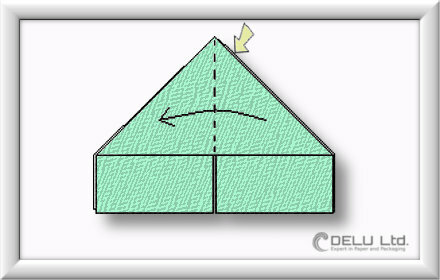 In order to get the corners shown in blue, we must pull them from the inside to the outside. 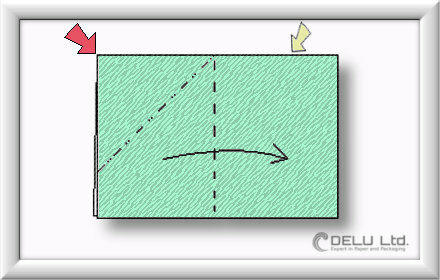 Then attach the corners behind the fold marked with arrows. At this step please be patient as this folding is a bit tricky. 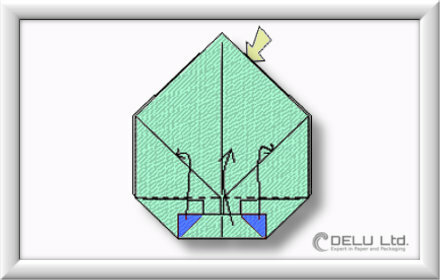 Now fold the upper triangle at the dotted line downwards. You should get a nice crease ! 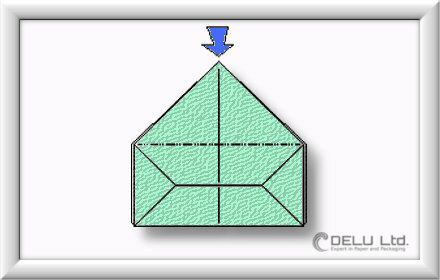 Now simply push the folding down on the upper corner marked with the blue arrow and shape the box. Step 12…..and…..finished is our Origami box ! If the folding lines are sharp and exact a beautiful origami box arises. Have to admit, doing this origami folding is not yet easy, but the result can really convince ! 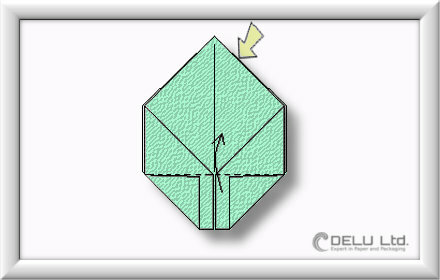 Make sure that the folds are all sharp and precise. It gives the finished origami box a beautiful look. 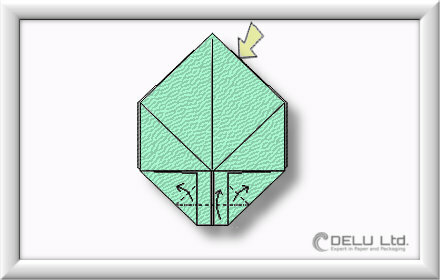 Always make sure that the folding lines are exact, this helps a lot when unfolding the origami box. 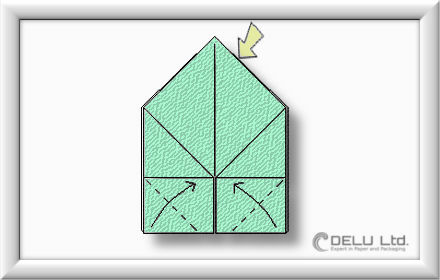 In our next post we will show you how to fold another Origami Box but this time with handles. 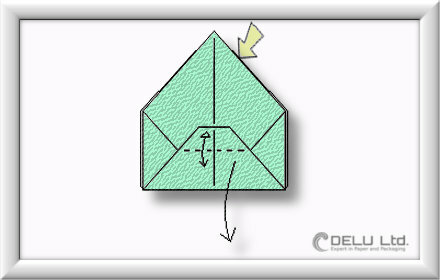 Check out this post “How to make a origami box with handles”.